By moving to Cambrai, II.(Schlacht)/L.G. 2 was the most forward based unit of the whole Luftwaffe. The unit was constantly in action and conducted pinpoint attacks on pockets of French resistance until the very end of the campaign. 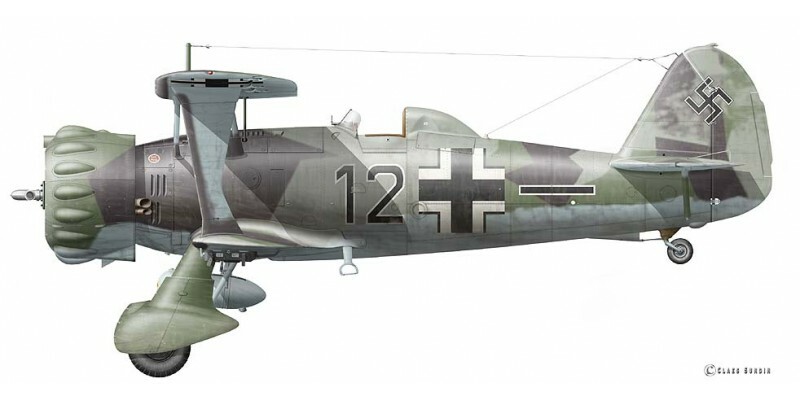 Although the Hs 123 was by now regarded as obsolete by the Luftwaffe, the combat results achieved were really quite astonishing. Consequently, the plans for re-equipping the unit's outdated biplanes were shelved. The unit was later sent into action in the Balkans with a mix of Bf 109s and by now, the legendary Hs 123. Note the fighter-style markings adopted by this unit.